Hey guys! Hope you are all doing great. I am slowly getting myself into the Christmas spirit. I have crossed off most of my Christmas Shopping/Gift list. Only two weekends to go, so I'll have this weekend to do more shopping and the next weekend for gift-wrapping. In time with Christmas and the coming New Year, Pantone has announced it's Color of the Year. As you can remember, we got Radiant Orchid this year and Emerald last year. 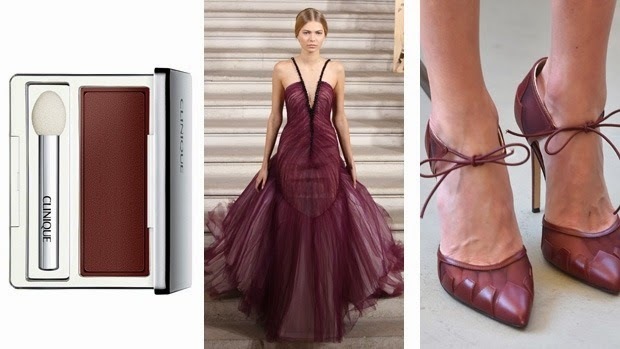 For 2015, Pantone’s Color of the Year 2015 is Marsala. PANTONE PICKS: Black Honey eye shadow by Clinique, $38; a Fall-Winter 2015 look from Rami Al Ali and fabulous shoes as worn by the always-on-trend Kate Bosworth. 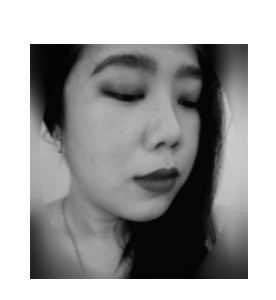 - Flattering against many skin tones, sultry and subtle Marsala is a great go-to color for beauty, providing enormous highlight for the cheek, and a captivating pop of color for nails, shadows lips and hair. 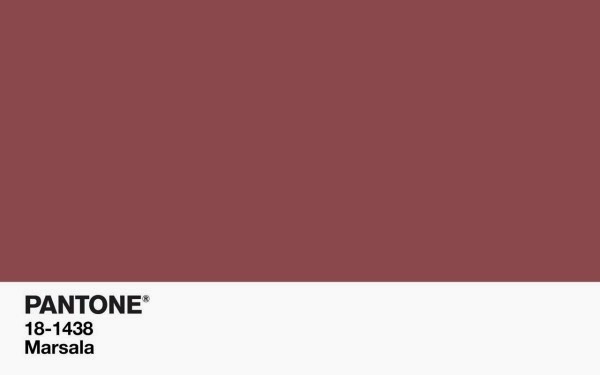 Enjoy a chat with Leatrice Eiseman, Executive Director, Pantone Color Institute and David Shah, Editorial Director PANTONEVIEW.com as they discuss Marsala, the PANTONE Color of the Year 2015 and how this rich and enriching shade can be applied throughout all areas of design. What do you think of this choice? 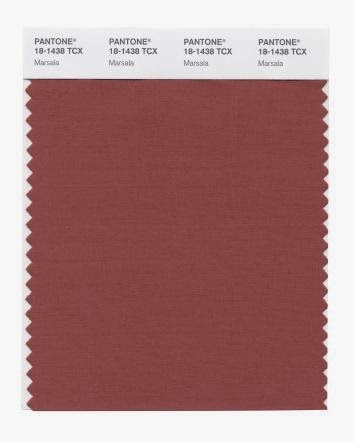 Personally, I'm genuinely looking forward to rocking this color next year.